I love these images, especially the first. Great composition. I especially like the black background. It really makes the yellow blossoms stand out! Lovely image, and yes ditto to the black background. come on! and lets see you go into that pollen on the stamen. Beautiful flower. 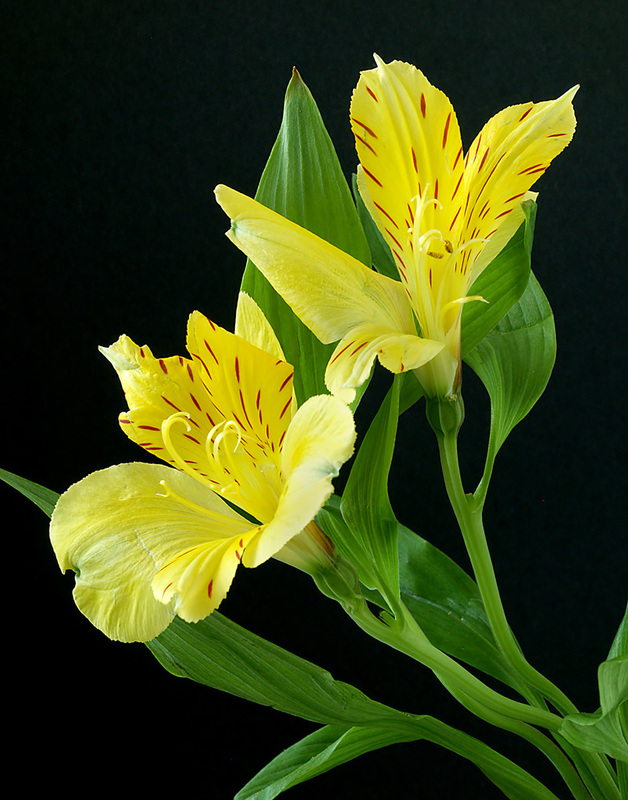 But it is an Alstroemeria, not a Freesia. Thanks all. Pollen coming up. Lou is correct. 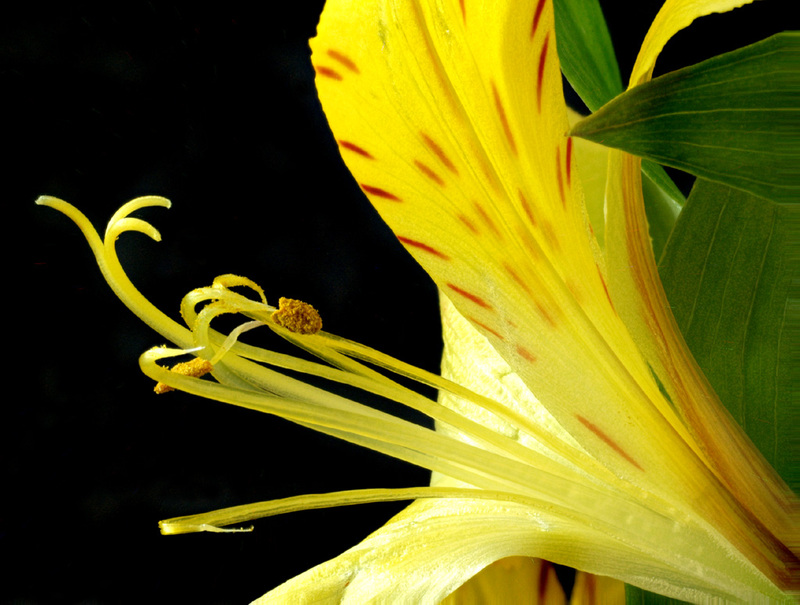 The flower is an Alstroemeria, most likely a "Dutch" hybrid grown for the cut flower trade.